Louisville has been blessed this year with a mild winter (at least so far), and the warmer temperatures of late have made us all anxious for spring. Along with more hours of daylight and beautiful flowers in bloom, spring also brings with the enticing invitation to spend as much time as possible outside. But a moldy, unadorned deck is no setting for springtime fun. An outdoor oasis is more the ticket this season. Whether your goal is to enhance your affordable real estate in Fern Creek by updating your current deck, or you have grander plans in mind—such as adding a sumptuous outdoor living room to your luxury home in Lake Forest—many of us who live in Derby City are now beginning our outside-of-the-home improvements. Designers everywhere have one important piece of advice when it comes to improving outdoor spaces—make it like the inside! We spend countless hours picking out just the right curtains for our great room or finding the perfect kitchen table for the inside of our home but then be content to go to the local home improvement warehouse to purchase a sale-priced patio set and call it a day. But our outdoor spaces need every bit as much attention as our indoor rooms. Taking a few simple indoor design practices outside can make all the difference. An essential item in outdoor design is fabric. Gone are the days of uncomfortable, sticky patio cushions in less-than-attractive colors. Today, there are countless options for fabrics to use on outdoor furniture that are able to both withstand weather and provide a great way to extend an indoor color scheme outside. And just as we accent our indoor sofas and chairs with pillows, we can now adorn our outdoor furniture in the same way. Another decorating element that we often forget when designing outside is lighting. Indoors, we carefully choose floor and table lamps, ceiling mounted chandeliers and recessed lighting. The same should be true for our outdoor living spaces as well. Those that are enclosed can be appointed with the same kinds of lighting features, including chandeliers. But even our open-air decks and patios need lighting accents, too. Today, a variety of floor and table lamps specially designed to hold up to the elements provide a great way to turn an outdoor space into a cozy outdoor living room. Finally, we need to consider the art work outside. Certainly, nature provides a lot of beauty by itself, but adding a few other touches can soften an outdoor space. We would never be content with completely bare walls indoors, so we shouldn’t accept the same outside either. Here again, the choices for outdoor art and accents are virtually unlimited today. Spring will soon be upon us, and those who are anxious to spend quality time outside know that creating an outdoor space that is as warm and inviting as the inside of our home is essential. Whether we want to spend just a couple hundred dollars on our affordable real estate in Fern Creek or add an expensive, elegant outdoor living room to our luxury home in Lake Forest, Louisville is ready to make outdoor living both beautiful and fun. Take advantage of the powerful Louisville MLS Listing search tools that are found on this website. With these MLS search tools you can gather information about real estate in Louisville, KY.
Louisville has long been known for its vibrant arts community. Thanks to the J.B. 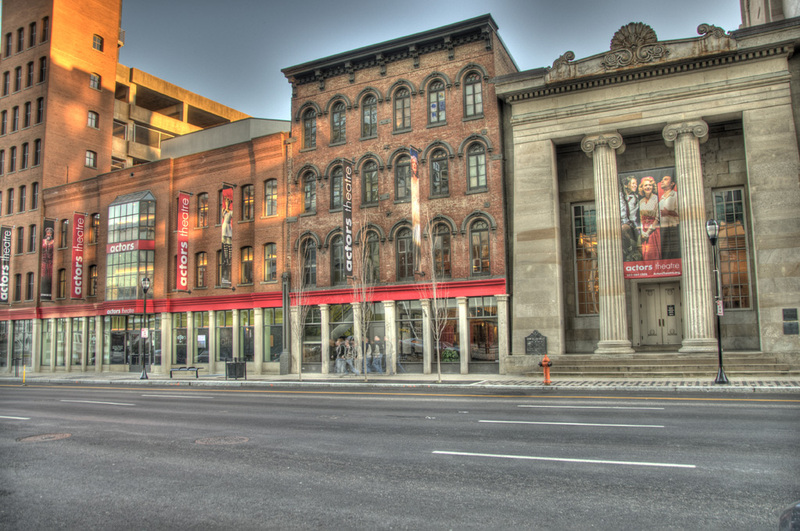 Speed Art Museum, the innovative downtown gallery scene, the Louisville Ballet and first class dramatic arts at Actors’ Theatre, Louisville has become a prominent player on the national arts stage for a city of its size. Now, in an effort to cut arts costs while maintaining high performance quality, some prime Louisville, Kentucky real estate will take center stage as it becomes home to visiting Actors’ artists. The historic building at Third and Main streets downtown now houses 18 one-bedroom and studio apartments on the third through fifth floors for visiting performers. Because Actors’ draws talent from far and wide for its cutting edge mix of classic and progressive theater arts, Actor’s houses roughly 170 visiting performers each year. In the past, most stayed at an apartment complex on Broadway that the theater rented, but now artists will be able to live in the heart of downtown right next to the theater. The first performers begin arriving this week in preparation for the 36th annual Humana Festival of New American Plays that will begin performances at the end of the month. The $1.15 million dollar project is funded primarily by FBM Properties, which has owned the building for many years. Additionally, in-kind contracting services were provided by Cardinal Services, and in-kind design expertise and contemporary artwork came from Kevin Troxall Design.While the project’s main goal was to provide a way for Actors Theatre to reduce their housing expenditure by having visiting artists stay next door to the theater, it accomplishes other objectives as well. 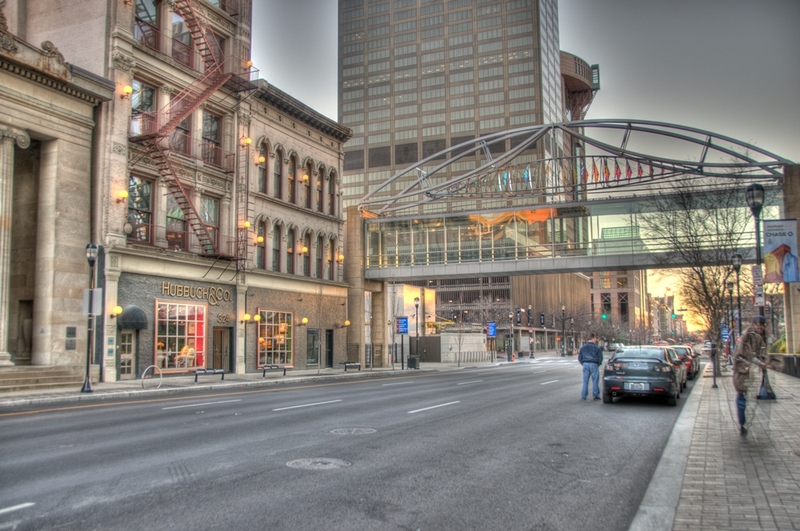 It allows performers to be more closely in touch with the heart of downtown, contributes to the significant downtown revitalization already going on, and marries two of the cities greatest loves–Louisville, Kentucky real estate and the city’s dynamic arts scene. You have stumbled upon the best find in St. Matthews! Price has just been reduced by $5000 and sure to go quick! 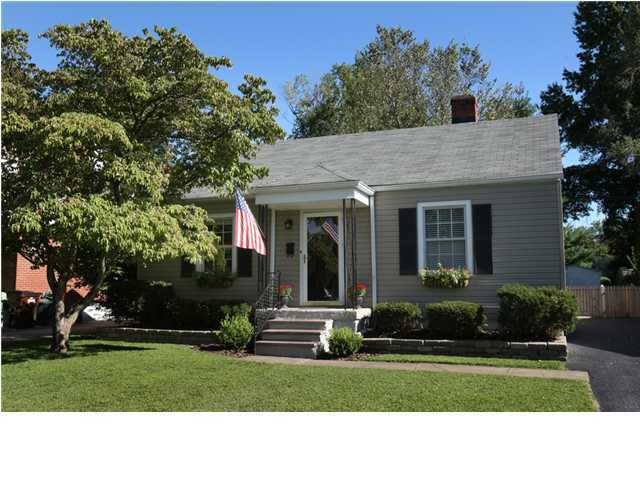 Home is a short walk down the block straight into Seneca Park! This adorable three bedroom dollhouse has a large, park like backyard fully fenced in by wood picket fencing. The fantastic eat-in kitchen has a large breakfast bar and opens fully to the cozy family room which boasts lots of natural sunlight. You won't find a more inviting and open kitchen and family room. Perfect for being close to your loved ones and for entertaining! The master bedroom is huge and has a wonderful walk-in closet. There are one and a half baths and also a tiled, enclosed, working shower in the basement that is not counted in the listing. Beautiful hardwood floors greet you at the front door and spread throughout much of the first floor. The partially finished basement is currently used as a bonus family room and 4th bedroom, but does not have an egress window. The unfinished part of the basement offers tons of storage, laundry area, and lots of great potential. This charming home has so much more to see! Come take a look for yourself! A beautiful St. Matthews home in the most incredible location!